We are Authorised Distributors of M/s Gunnebo India (P) Ltd. having its Corporate Office in Mumbai. Gunnebo Security Group is manufacturer and supplier of integrated security solutions for banks, retailers and sites in need of high security protection and various other applications. Gunnebo is an international security group operating in more than 30 countries across the globe and with presence on a further 110 markets through partners and distributors. Gunnebo provides integrated security solutions to customers that set high standards on secure cash management, access and entrance control, site protection and fire protection. Gunnebo India (P) Ltd. has more than 75 years of expertise in the security business and indigenously manufactures world-class products in its plant in Gujarat. 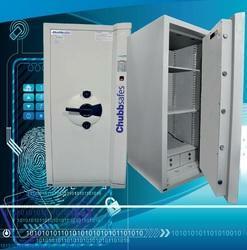 Gunnebo has in its portfolio some of the world’s leading brand names in Security – Chubbsafes, Steelage, Minimax, Fichet-Bauche and Rosengrens. 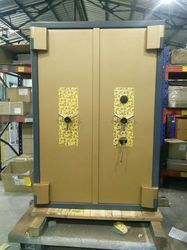 Furthermore, Gunnebo is a world leading supplier of high grade fire and burglary resistant safes, strong rooms doors, fire resistant filling & record cabinets. 1. For Burglary & Fire protection. 2. Protects, Cash, Valuables, record & important documents. 4. Vital parts are protected by a drill resistant material. Ideal for Banks & Jewellery Shops. Gunnebo India (P) Ltd. introduces Hallmark 345 Safe specially design to cater the need of Retail & Jewelers segment. 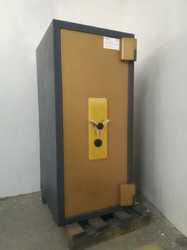 The safe is tested by EMTAC one of the top testing institution in India. 6. Additional Lock can be fitted. Ideal for Retail & Jewellery Shops. Gunnebo's night depository safes are designed to cater the security needs of various cash collecting outlets working at night. Mainly it includes Toll Booths, petrol pumps, tickets counter & other cash collecting outlets dealing with cash around the clock. The 'Night Depository Safes' contain two compartments, first one the drawer & second main safe. 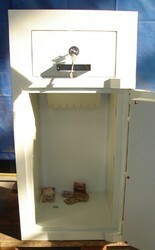 Both are interconnected so that the cash kept in drawer will automatically goes to main safe when closed. The main safe is locked and not accessible from drawer even in open condition. Looking for Burglary & Fire Resistant Safes ?